AMC's newest show, The Walking Dead spin-off titled Fear The Walking Dead, coming out later this year, looks interesting. They're starting the show from before when the virus starts up. So it would be great to see when it starts. Which is long before Rick wakes up in the hospital over in the original show. Over on The CW, iZombie starts out with people getting a bad batch of recreational drugs. LOL. 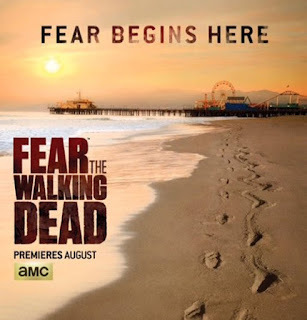 Anyhow, as the season or story progresses with Fear the Walking Dead, sooner or later the time frames between this and the original show will start to sync up, but I'm not sure when. Either way, it will be cool. Check out these promo videos.